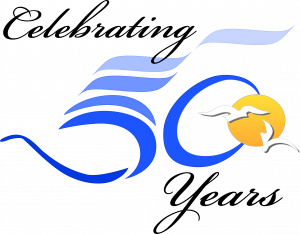 Nancy Caruso, Get Inspired, Inc.
Nancy is a Virginia native with a B.S in Marine Biology with an emphasis in aquaculture and chemistry. Early in her career, Nancy worked in the aquaculture industry and for a local public aquarium. 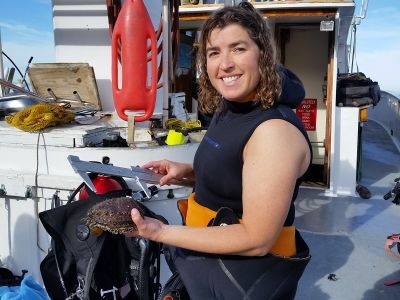 Wanting to do more conservation work within her community, Nancy left the aquarium to build a program to restore Orange County, California’s decimated kelp forests. With help from magazine and newspaper articles, as well a television and radio, Nancy has helped to bring the message of the importance of kelp forests along our coast to millions. 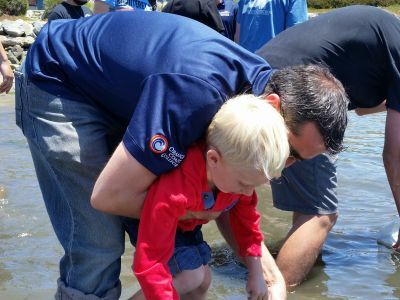 The Orange County Ocean Restoration Project has taught 5000 students how to grow giant kelp in their classrooms that was planted in the ocean by 250 trained volunteers and now there are giant kelp forests in areas that had been barren for more than 25 years. To continue her work, Nancy started a nonprofit organization called Get Inspired! 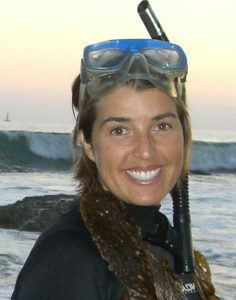 She continues to restore the kelp forest ecosystem and has taught 5000 more kids to grow white seabass in their classrooms which are released annually to their ocean habitats in the restored kelp forests. Get Inspired! is dedicated to Inspiring stewardship and curiosity for the natural world through the exploration of science. Nancy has just begun a massive 10 year project to restore green abalone with the help of public aquaria, museums, and 36,000 southern California students in their classrooms. 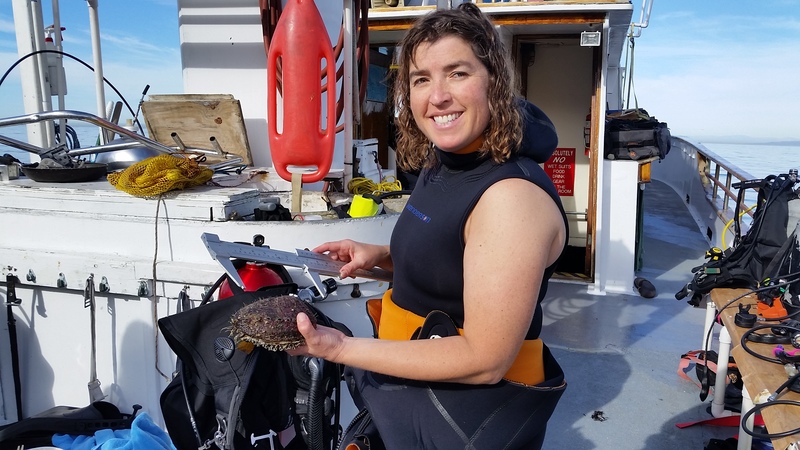 This project will educate millions of people about how, in one human lifetime, we nearly ate the abalone to extinction and how we can all work together to bring them back. An evolution in science has occurred; the public wants to be part of it. It is the era of “Citizen Science”. They are interested in science, hungry for data, and want to “do” something to affect change. Get Inspired’s mission is to inspire stewardship and curiosity for the natural world through the exploration of science. We are all part of the problem, we try to make everyone part of the solution. 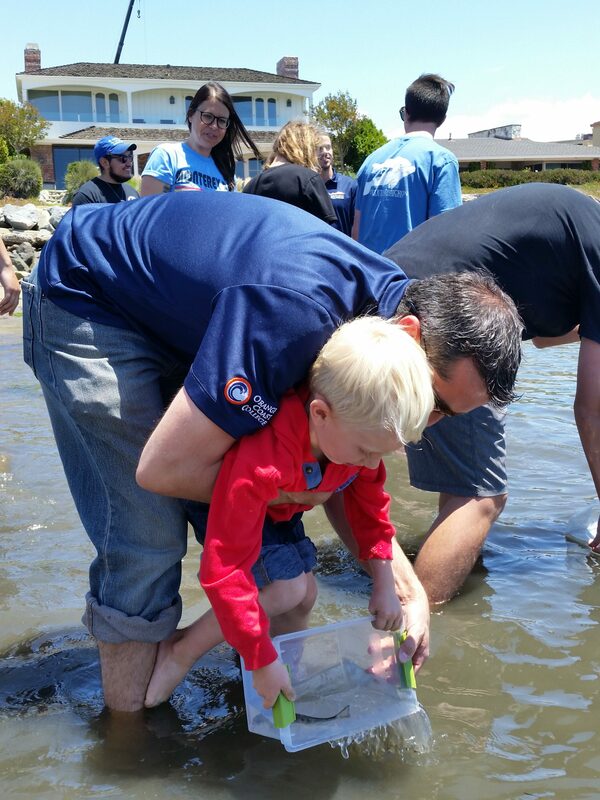 Through hands on ocean restoration projects in Orange County, California, we have restored the kelp forests, we are working to increase the numbers of white seabass, and we are restoring reproductive populations of green abalone. Overall, 10,000 people have directly grown these organisms, been trained to outplant and monitor them in the ocean, and millions more have been educated about our efforts through outreach and media. 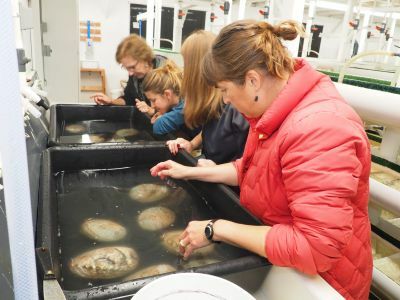 Students care for the organisms in classroom nurseries with a full year curricula centered on ocean chemistry, ecology, and biology of the species. In order to have lasting change, behaviors and attitudes must evolve and we believe having a stake in the success of these restoration efforts is the solution. 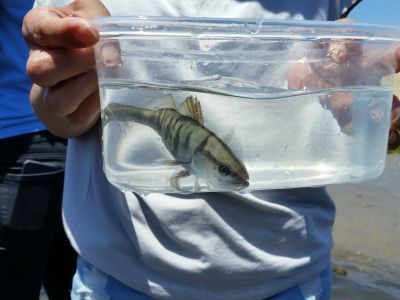 Kids releasing their white seabass 1. Children releasing their white seabass 2.